A final rule to update the current Occupational Safety and Health Administration (OSHA) standards for power line workers has made it through the regulatory phases and could be published in March. According to Safety and Health Magazine, the Office of Management and Budget finished its review of the Electric Power Transmission and Distribution; Electrical Protective Equipment rule back in December and now officials with OSHA can move forward with publishing it in the Federal Register. Our workplace accident lawyers understand that there are about 50 power line employees per 100,000 who are killed on the job each and every year. It’s clear that working on power lines can be extremely dangerous. What’s more, the pace of world change make working safely in the electric power industry even more challenging. The problem requires new thinking to improve the ranking of power line worker on the scale of most dangerous professions. 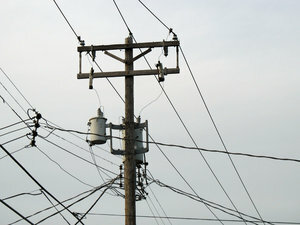 The new rules update 40-year-old construction industry standards for power line workers. These efforts started back in 2005, when officials with OSHA looked at how new, stronger rules would affect small businesses. Later, in 2005, the agency proposed a new rule, which would add requirements for equipment and construction of the lines, giving workers space to do their jobs and technicians’ clothing and training. OSHA believes the new rule will be able to prevent close to 20 fatalities and another 115 injuries each year. A typical overhead distribution line has 7,200 volts per wire. Voltages on major transmission lines are as high as 500,000 volts. Both can deliver a deadly shock. -Make sure that are equipment is de-energized. -Make sure that all of the equipment stays de-energized by using a lockout and tag procedure. -Be sure to use grounding lines when they are required. -Whenever there are energized parts, be sure to keep a safe distance from them. -Be aware that you can be electrocuted by touching a power line directly or by touching conductive material (such as a metal ladder, antenna, pipe, kite) and, at the same time, the earth or any grounded item (such as metal siding or a downspout). -Remember that electricity can travel through the ground. Therefore, a live wire touching the ground can harm you even if you don’t touch the wire. -Don’t be lulled into a false sense of security because you’re wearing rubber gloves or shoes. These items will not protect you from electrocution from power lines. New Push for Railroad Worker Safety in New England, January 14, 2014. Guidelines for Improving Temp Worker Safety, January 11, 2014.